Former reality TV star Tiffany Watson has launched a line of vegan leather handbags. Watson, a vocal advocate for animals, started her business threesixfive last year, offering a line of vegan leather-bound diaries. Now she has expanded her offering, the bags, which come in a square crossbody design with a tassel. They have a zip fastening and detachable shoulder strap. The new line also includes travel accessories including a make-up bag and passport holder. All items can be monogrammed. 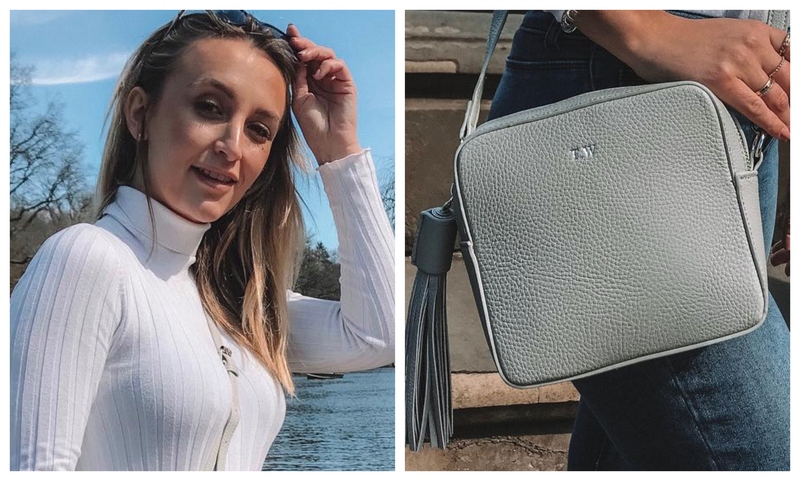 "We are SO excited to announce that tomorrow we will be launching our new range of vegan leather handbags," she wrote on her business' Instagram profile yesterday. "[They are] available in five colors, neon pink, neon yellow, stone grey, orange and blue. These are the perfect day to evening cross body bags. "As well as these we will be launching our travel set, a travel wallet, passport holder and makeup bag. The must-have set for every wanderluster and city stopper."